A 2008 study conducted by Dr. Sheela Sathyanarayana, a University of Washington pediatrician, found elevated levels of Phthalates in the urine of babies who had been recently shampooed, powdered, or lotioned with baby products. 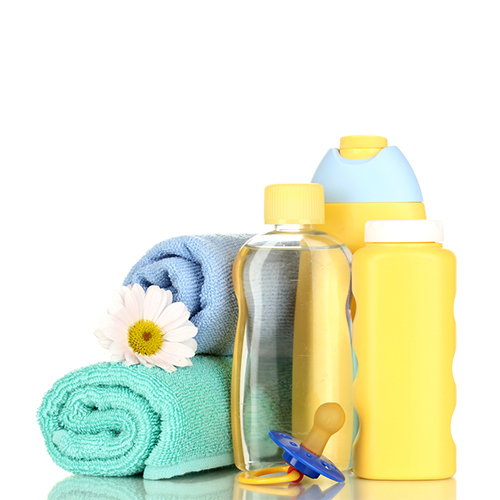 Phthalates are believed to be linked to possible birth defects as well as reproductive issues in boys and girls. While the study does not show a direct connection between the products and Phthalates, and no evidence Phthalates can cause health issues, the results still concern environmental groups. The Centers for Disease Control and Prevention says despite the findings of the study at this time, “the health effects in humans are uncertain.” Parents are advised to look for products labeled “phthalate-free”, and to avoid products that contain DEP and DEHP.